Is this considered last minute? What if you aren't finished shopping either? Well, I think its just the right time to do some lovely gift wrapping. I have always loved wrapping gifts, I know its not everyone's thing but I love taking time to make things pretty. This year I wanted to keep it simple and a little rustic so let me share what I've been doing. 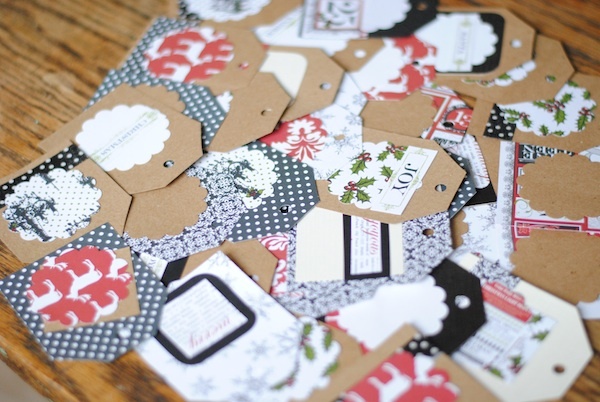 Let's start with gift tags first. I love making my own, they add so much to a gift and really are easy to make. I grabbed a little pack of christmas papers at my local craft store and then used some other paper things I already had to make mine this year. I didn't print anything off and each and every one is different and unique. 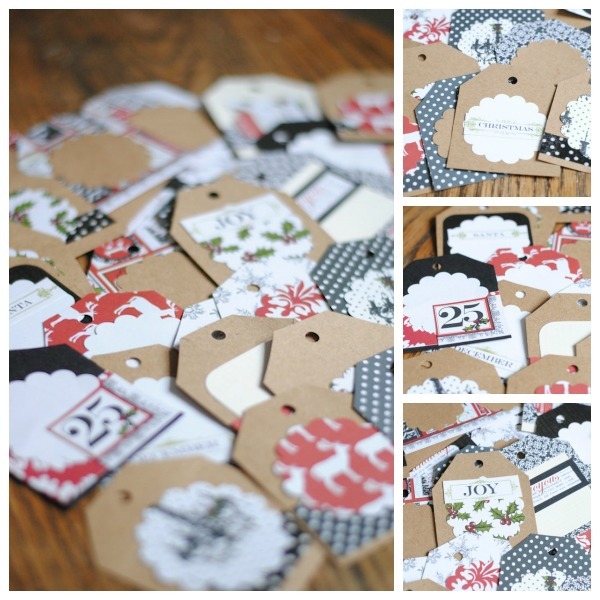 I simply made a tag stencil and cut all of my tag shapes out and then used my paper and punches to decorate them. A little hole punch and they are ready! Ok, on to paper. 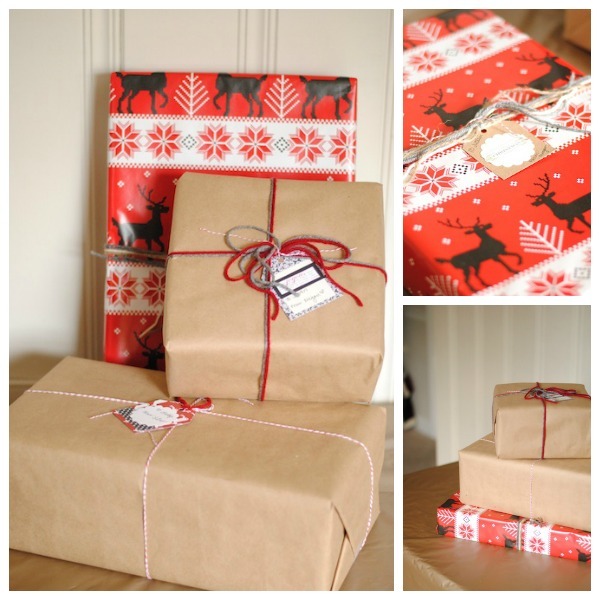 My favorite thing I found this year for wrapping was at the dollar store (surprise, surprise). 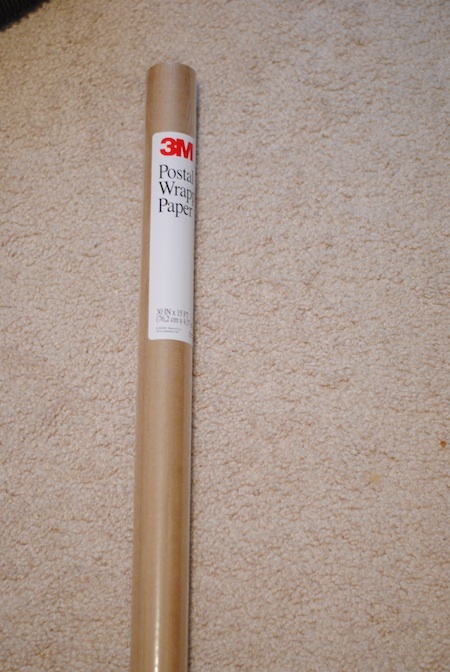 They have a great little postal section at the dollar tree that includes brown paper rolls for mailing - but its so perfect for wrapping gifts. I also found some paper at Target that I liked - it had the colors I was looking for and I liked that it looks kind of like a sweater so it kept it all rustic looking. I wanted to keep the packaging simple but pretty so I decided to use yarn, twine and bakers twine for my trimmings. Those are all things I already had so I didn't have to spend money on bows that always fall off and never want to stick. I didn't have to spend very much to wrap and I love how everything turned out - simple. Are any of you wrapping lovers like me? 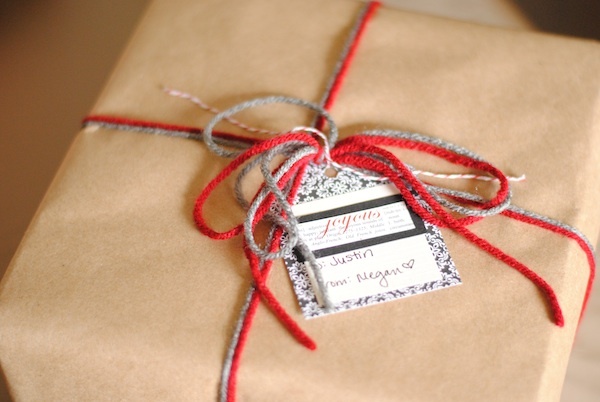 What kind of things do you do to make your gift wrapping special? Thanks so much Antonella! 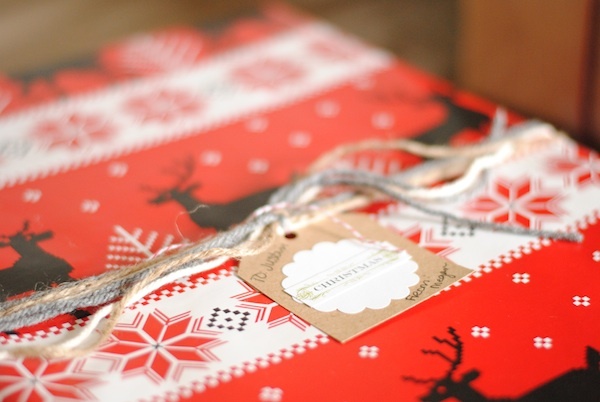 Your wrapping sounds so pretty! Hope you had a wonderful Christmas!! You are awesome! Really. LOVE the gift wrapping. I kept it simple this year since things are so nuts around here. Wow, thanks Laurie! I know you have so much going on right now! I hope you had a wonderful Christmas!! I love this! You can keep it simple or add more to make it pop! Such a good idea! I'm one of your newer followers and I just love your blog, so creative. I'm looking forward to reading more of your posts! Thanks Becca! And thanks so much for following! Can't wait to check out your blog! Hi! I found you on the blog hop and was kinda maybe hopin' that you'd pop on by and follow me back! Thanks so much for following Sarah! Going to follow you now! !